Gathering MORE nominations for the 2017 Brodie Awards!! The voting for X-Mormon of the Year is underway you have until January 20th to get your vote in!! As usual, we’re also doing the Brodie Awards — a fun little yearly activity intended to give some extra recognition and signal boost to the best LDS-interest content published/posted during the past year. Unfortunately, this has been a bit of a slow year so far for the Brodie awards — in part because I haven’t had as much time to keep things lively here at MSP since taking my new job. I’m glad to see some people are still having fun with this and have started leaving their nominations! Now I’m going to do a first-pass of organizing this year’s categories, adding some nominations of my own, and pointing out which categories need more nominations. Remember that each category needs a least three nominations to continue on to the voting and awards rounds. The nomination process will continue for two more weeks and then we will begin voting. Here we go! This category needs more nominations. Please nominate as many people, books, blogs, sites, podcasts, songs, articles, images, etc. as you want. However, please do not nominate more than two individual works by any one author/artist. You are encouraged to nominate your own works. No one knows better than you do which pieces were your best. No more than two, though. Please nominate works that first appeared during 2017. Please try to nominate people and works that have some connection with Mormonism (eg. 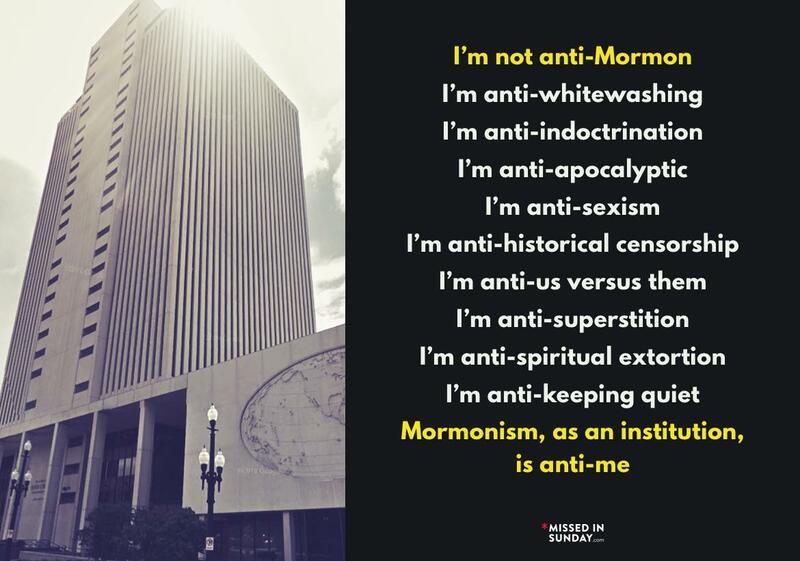 either the work touches on Mormonism, or the author is a current or former Mormon and/or is an active participant in our community). A category must have at least three nominations in order to be included in the voting and awards phase. You may suggest your own categories — however please do it as early as possible in the nominations process, to give others plenty of time to add nominations in your proposed categories. Any other proposed changes to the categories or to the guidelines are welcome — feel free to discuss it in the comments. The nominations will be open until mid-January, 2018, depending on my schedule. I will finalize the dates and categories and add my own nominations a few days before the nominations close and voting begins. Thanks for all of your nominations!!! It’s time to vote for X-Mormon of the Year 2017!!! 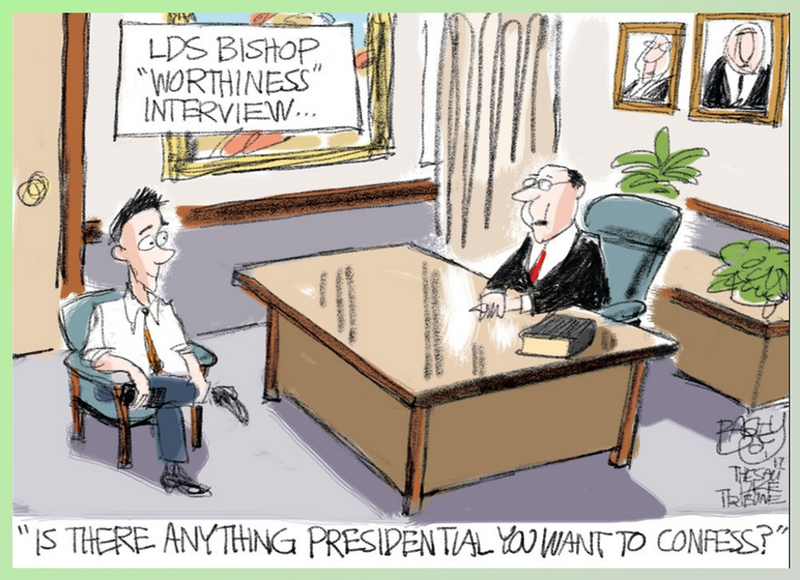 Pat Bagley, perfect juxtaposition: Anything Presidential to confess. Best Short Media Presentation: Donovan Feist’s remarks at the resignation rally in Salt Lake City in November>by Donovan Feist. Best from-the-pulpit Sermon: Act of Confession by Reverend Jerrod Lowry (in unison with the assembled pastorate) at the Utah Pride Interfaith Service in Salt Lake City on June 1. Please, check the spam filter for a post with four nominations. Thanks for all the great nominations, everyone!! @4blockhead — I looked in the spam filter, but I can’t find the comment. Can you try again to post them in individual comments? Or just email them to me (chanson dot exmormon at gmail dot com), and I will post them myself as nominations from you. Please nominate this for Best Poem! Best Podcast Episode: at the Salt Lake City Public Library, Peggy Fletcher Stack reflects on 26 Years on the Faith BeatMormon Land, Jennifer Napier-Pearce interviewer. Nominating Deb Diener of Children Matter FB Page who compiled a huge list of instances of Child Sexual Abuse perpetrated by LDS members. This was a ton of work and she deserves to be recognized for working so hard to protect the children. I’m not sure what catagory but please add her or make one and get more women on your list! This is amazing and doesn’t get the notice it should. 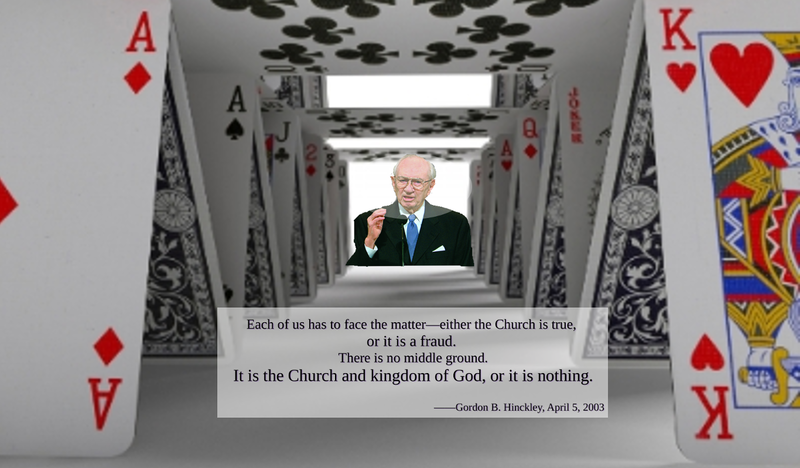 Hear two apostles admit that they rarely get answers from prayer and that we need to prepare to approach the throne of God to pray and that he isn’t going to respond to trivial things or even respond at all. So basically the brethren are winging it.